One of Britain’s best-paid female bosses has been hit by a backlash from shareholders over her £29m bonus. 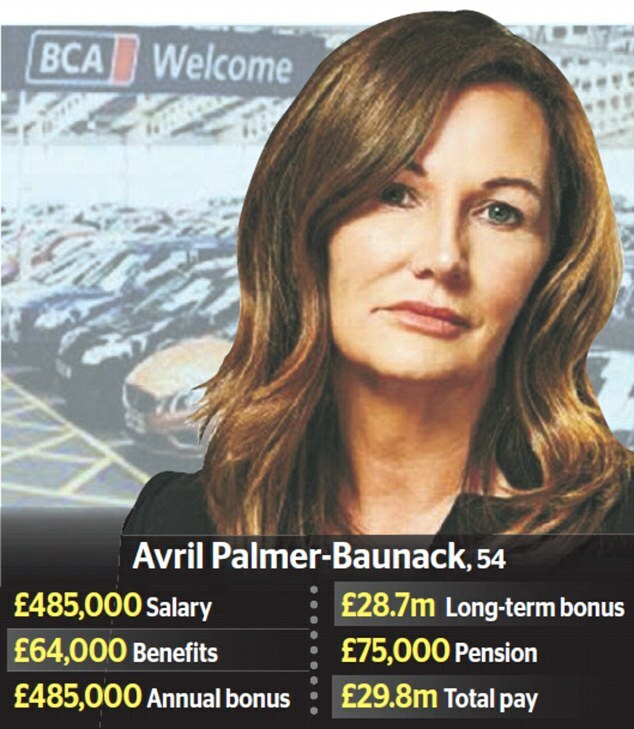 Avril Palmer-Baunack, chief executive of used car business BCA Marketplace, saw 23 per cent of investors refuse to back her lavish pay packet in a vote at the firm’s annual meeting. Meanwhile, 12 per cent failed to back the 54-year-old’s re-election to the board. The bonanza was agreed when the We Buy Any Car owner BCA floated in 2014. Advice group Glass Lewis said the pay-out is disproportionate and claimed that BCA’s value has been boosted by rising markets rather than anything management has done. It is believed to be the highest ever bonus pocketed by a female boss of a firm on the London Stock Exchange.